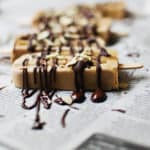 You have to chai these vegan chai coconut popsicles drizzled with chocolate and crushed almonds. They are creamy, dreamy and must be included your frozen treat lineup for the summer. I love the subtle spiced flavor of chai tea. This vanilla chai tea is a great herbal option, if you want to stay away from caffeine in regular chai tea. Combined with the coconut and chocolate, it’s the perfect balance of rich and indulgent flavor. While creating this recipe, I accidentally realized this mixture makes a FANTASTIC herbal chai latte. Like, I couldn’t stop drinking it and almost ran out of liquid for the molds! Keep this nugget in your pocket when fall rolls around and you need a cozy, warm drink to sip—coconut cream does not mess around! 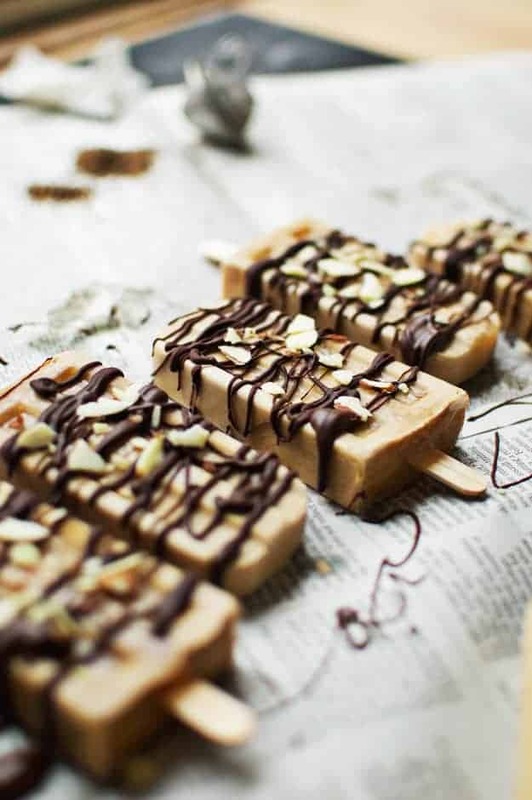 Grab the recipe for these vegan coconut chai popsicles below. Enjoy! 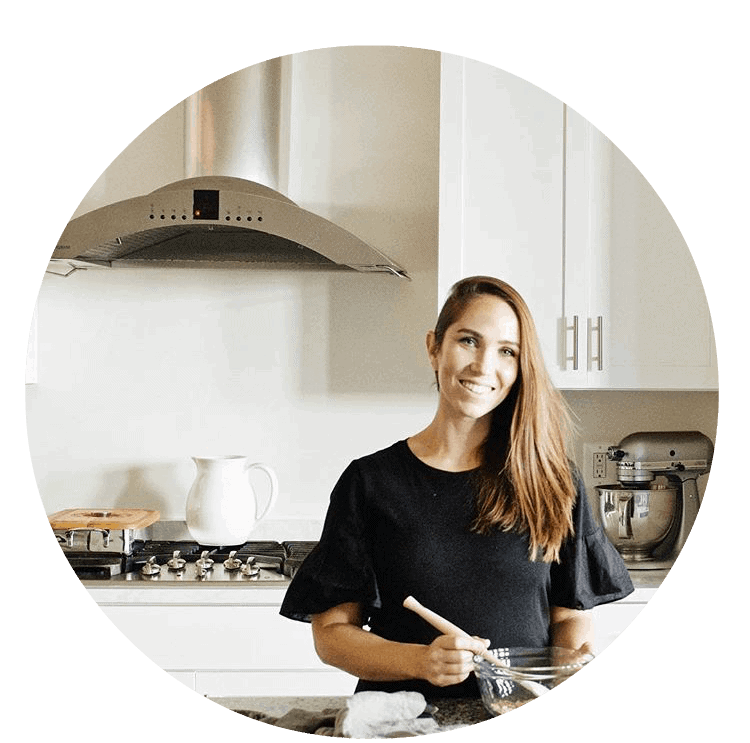 Heat the almond milk in a small saucepan over medium heat. Steep the chai tea bags in the almond milk for 10-15 minutes for a strong flavor. Mix in cinnamon, cardamom, coconut sugar, coconut cream and vanilla until everything is dissolved and the liquid is smooth and creamy. Set aside and let cool for 10 minutes. Prepare the popsicle molds and sticks by sitting the sticks in a warm water bath. This helps prevent the sticks from popping up when inserted into the mold. Once the chai coconut liquid is cool, pour into molds until level with the top. Place the lid on and insert popsicle sticks. Freeze for at least 6 hours or overnight. To remove popsicles from molds once frozen, run the bottom of the mold under warm water for 30 seconds. Allow it to sit and loosen for about 2-3 minutes. While the molds are thawing, melt the chocolate and coconut oil together in a small heatproof bowl. When ready to remove the popsicles, gently pull upward to get a clean, neat popsicle. 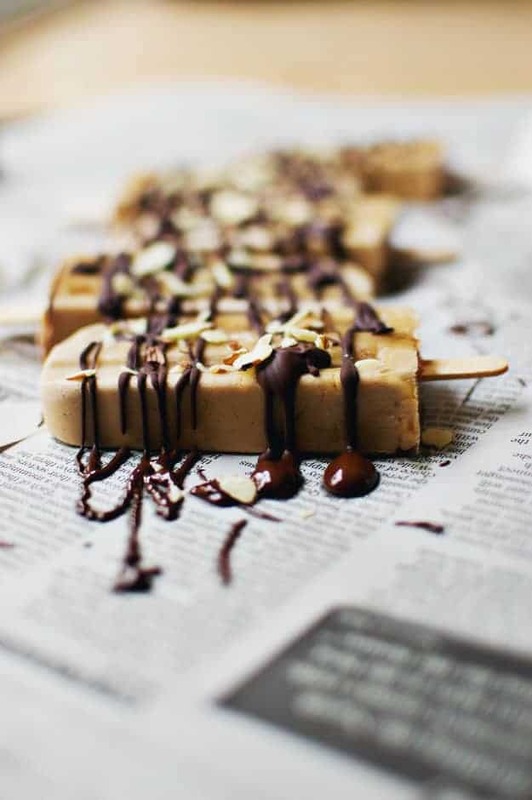 Lay them on parchment paper and liberally drizzle melted chocolate to cover the popsicles. Sprinkle with crushed almonds. 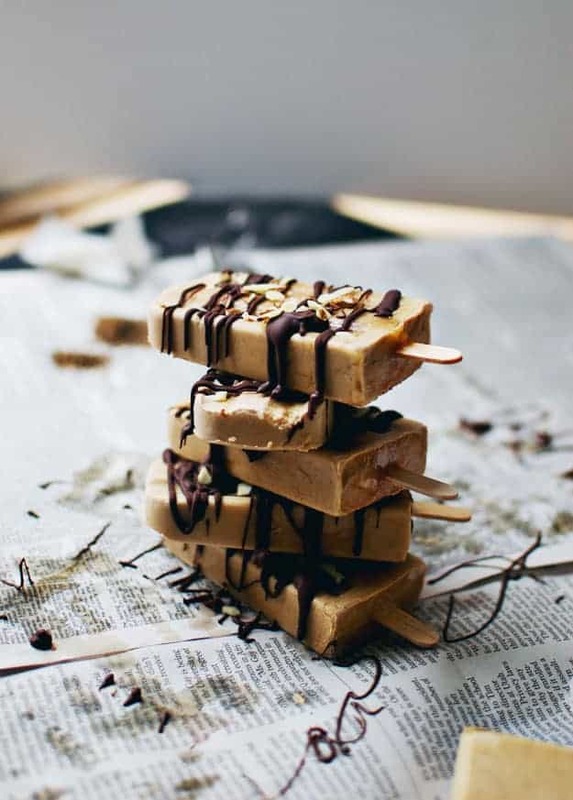 Enjoy this sweet, cool treat! Yum – these look so good! I will definitely be making these soon! And this is probably be obvious, but do you remove the milk from the heat to steep or do you keep it simmering the whole time? 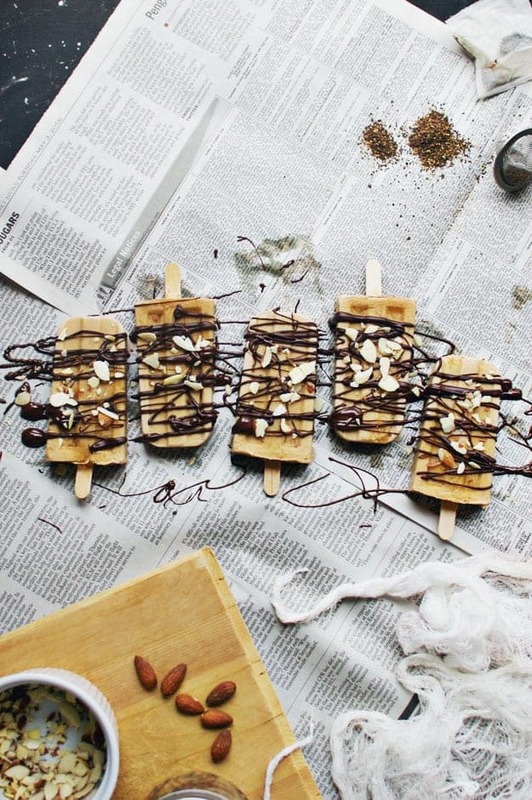 Ahhh these popsicles looks unreal! Chai is my absolute favorite! Pinning, pinning, pinning. Goodness, I need these NOW! Yay! I’m so glad you love them, Erin. Thank you!